HI Folks: The Beginner class at RCM (Tuesdays 6:15 – 7:45) has been postponed til Oct 9 and will run as a 10-week class. It is a great deal: 90 minute sessions every week for just over $30/class and Rose is a great teacher. This is for people who have never played before, so if you know anyone who’s interested, please encourage them to come out. The RCM was having website issues with all their classes this Fall, so things are taking a little longer to get going. The Intermediate class (2nd year fiddlers, 8-9:30 pm Tuesdays), the Québécois/Métis/Cape Breton class (at least 2 years experience, Mondays, 7 – 8:30) and the Celtic Orchestra (3 or 4 years experience, Sundays 11 – 12:30 am) are up and running , but have each had only one session and it would still be easy to join. Everything is taught by ear, with recordings and music to back it up (Tamarack’er Down: A guide to Celtic-Canadian Fiddling method books for Beginner and INtermediate) To Register, just go to: rcmusic.ca and search for “fiddle”, all the classes will come up. 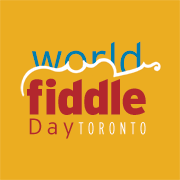 So, come join us in the rhythmic world of trad fiddling. . fun may rear it’s head.